Let’s be honest, you’re pretty darn excited to test it out! You’re curious to see what all the buzz is about; a long-lasting lipstick that stays on through eating, drinking, kissing, exercising, swimming, and other activities that would regularly smear and smudge your lipstick. 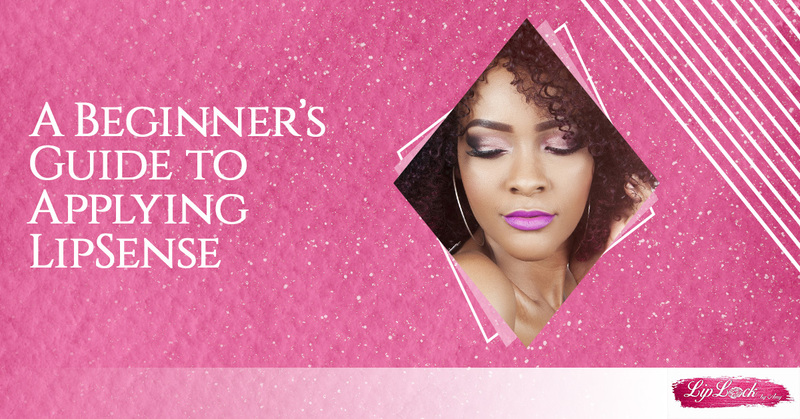 But fear not, after looking through the following guide you’ll know how to put on LipSense and be able to experience the long lasting LipColor for yourself! One of the most important—and often overlooked—steps when it comes to applying LipSense is that your lips need to be clean. You’ll want to make sure your lips are clean and dry. For the best application, you’ll want to make sure you clean your lips very well, including the top corners, and remove all dry and dead skin from your lips. Using a washcloth, microfiber rag, toothbrush, or a scrub on your lips are all effective ways of getting your lips appropriately cleaned. The LipSense non-lead formula consists of very fine pigments and contains SD40 cosmetic alcohol. Wait, alcohol?! There is no need to worry! The alcohol not only helps LipSense LipColor last longer, it also serves as a sanitizer, assuring your lipstick is always ready to go! Together, the pigments and alcohol create a smooth, even color which is why it is important to shake well! Layer Three — Serves as a protective layer, keeping layer two away from eating, drinking, kissing, etc. Last but not least- top with Glossy Gloss. This is required and is what seals the color! Once you’ve completed the steps above, CONGRATULATIONS! You just applied a lipstick that will last 4-18 hours! To finish, simply blot your lips together and start experiencing the long lasting magic of LipSense! It is important not to rub your lips together like you would with regular lipstick, as this can make the color come off quicker. If your lips become dry throughout the day, feel free to reapply the gloss over your lipstick whenever needed. Step One. If you applied gloss over your LipColor, wipe the gloss off your lips. Step Two. Generously apply the Oops! Remover over the colors, making sure to cover every area that has the LipColor applied and let it sit for a few seconds. Step Three. Rub your lips together. The friction caused by your lips will cause the LipColor to start coming off your lips. Step Four. Gently wipe away any remaining color from the lips using a wet wash cloth. Step Five. Be sure to moisturize with a LipSense gloss or, my favorite, the SeneGence lip balm. If you’re looking for an incredibly long lasting lipstick that is smudge- and kiss-proof, LipSense is the way to go! If you’re interested in ordering, whether you’re new to Lipsense or a familiar face, please do not hesitate to contact me. To learn more about joining my team and becoming a distributor, click here!